High up in the hills on the island of Flores in Indonesia are several beautiful Ngada villages, where traditional ways of life are still relatively well preserved. We rented a motorbike for the day and headed out on our own to visit several of these villages. I came across this woman in Bena village, a short drive from the town of Bajawa. 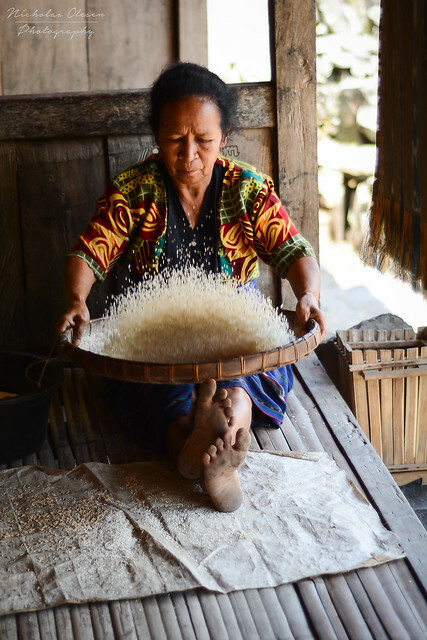 She was sifting through rice, removing the small pieces of husk. The Ngada villages tend to be centered around an open space with graves and structures commemorating their ancestors. 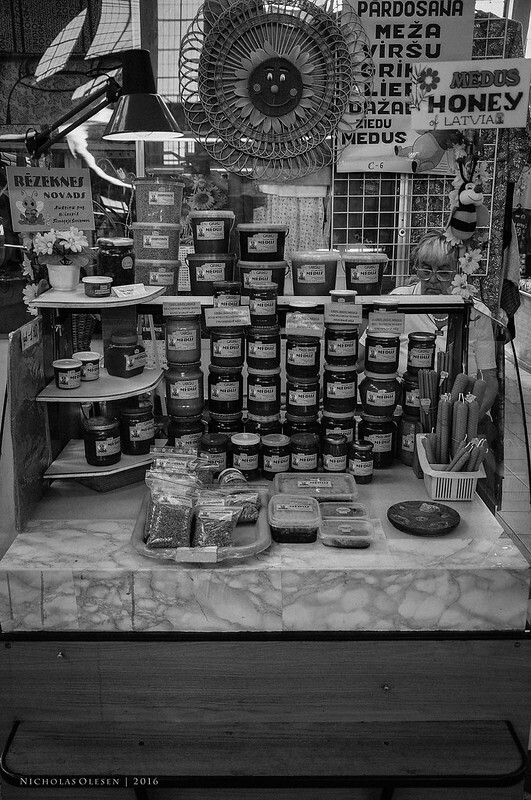 For some reason Luba village is far less visited than Bena village, even though they are right next door, and this means that the people of Luba are far more open and curious about visitors. 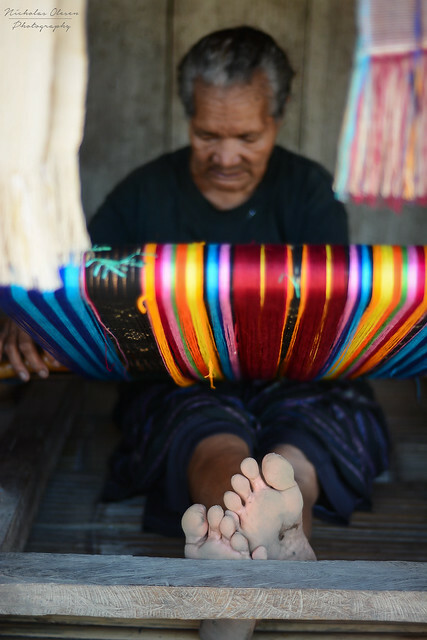 This woman was weaving outside her house in Luba village, a short drive from the town of Bajawa. 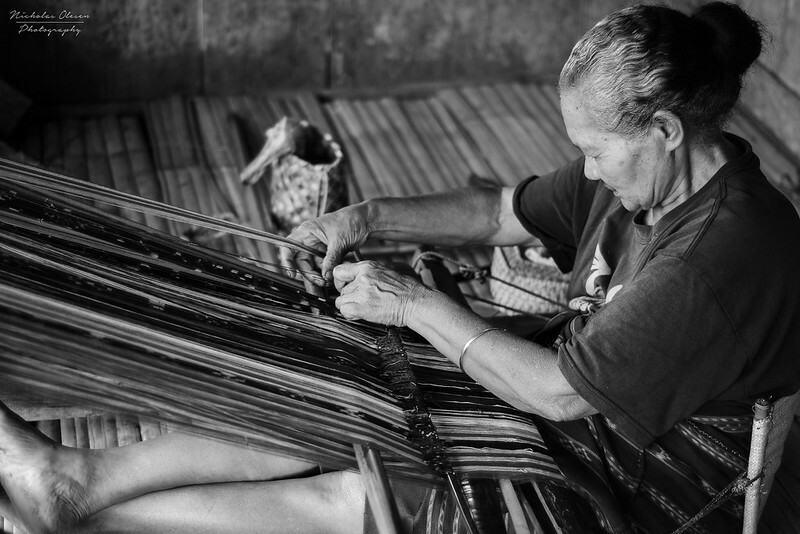 The village is home to several family clans, and although they are catholic they also retain animalistic beliefs; these are reflected in their weavings and in the paintings and carvings that adorn the houses. 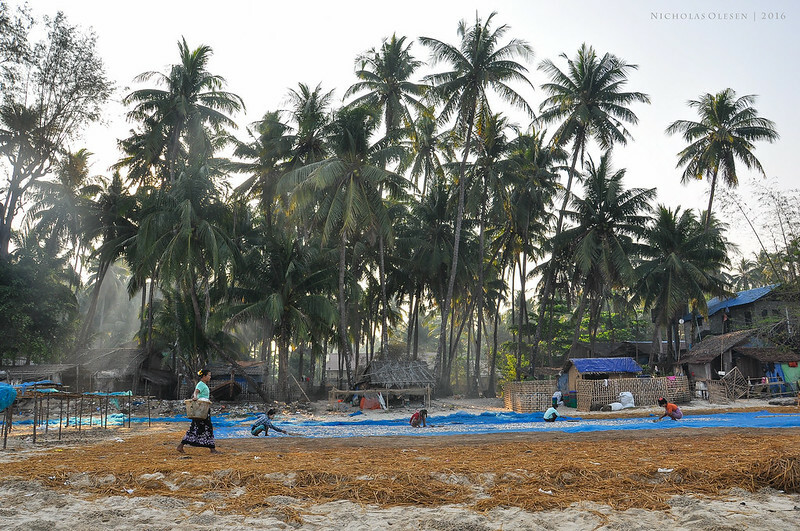 A final shot from my stay at Ngapali Beach – this is a view from the beach looking towards a fishing village early one morning. I liked the way the sun was filtering through the trees and the smoke from cooking fires. 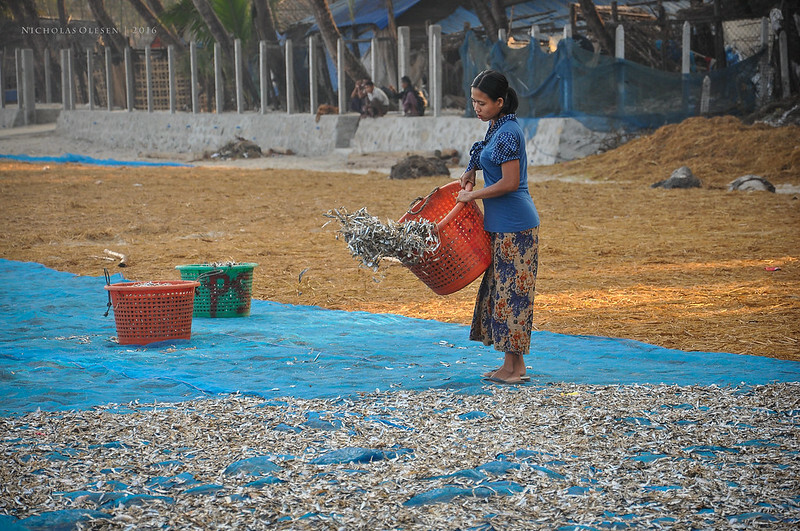 In the foreground women are at work laying out small fish to dry during the day. At the end of my trip through Myanmar, I spent a few days relaxing at Ngapali Beach, a short flight west of Yangon. A brief walk south along the beach was a small fishing village; one morning (before it got too hot to do anything!) I wandered down the beach to take a look. The men who had been out fishing during the night were busy packing up their nets and equipment, mooring their boats, and preparing everything for the next night of fishing. 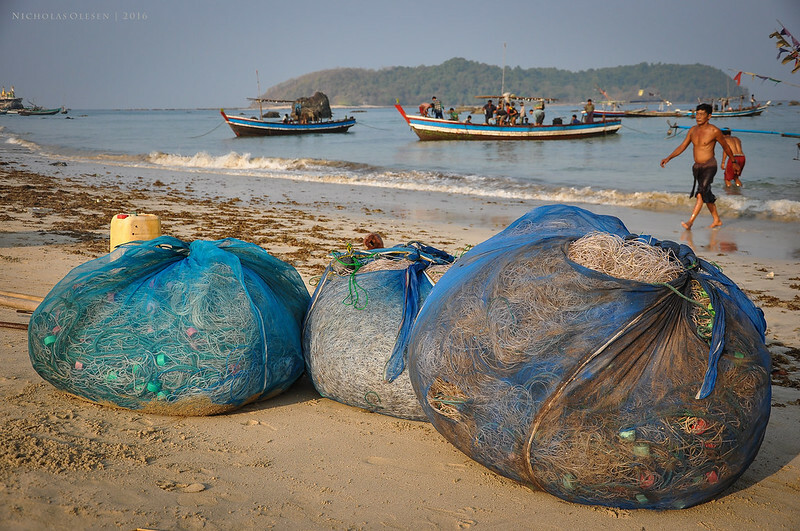 The villagers were all busy unloading fish from their boats, packing up nets and equipment, and spreading small fish out on the beach to dry in the sun. This woman was one of the ones sorting through all the tiny fish and spreading them out to dry.